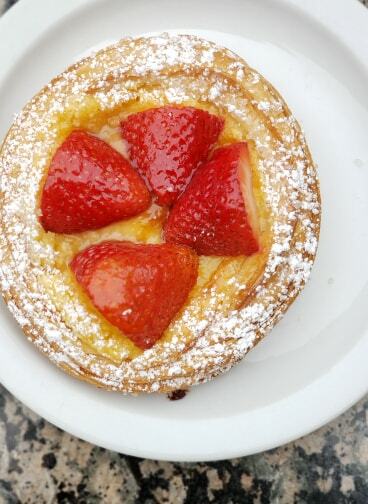 Have you been to Pain du Monde? 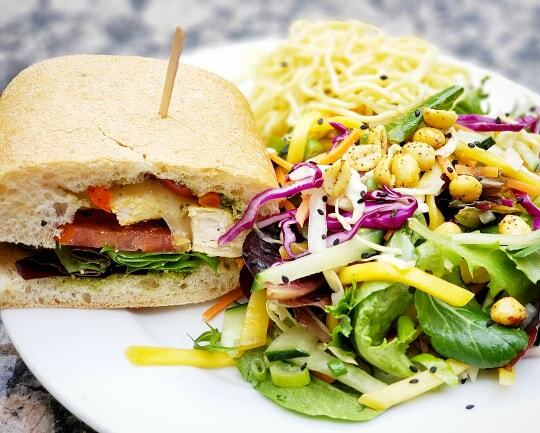 It is a fantastic treat to your taste buds. I met my sweet friend Jen for her birthday breakfast at the Pain du Monde location at Fashion Island. My first time but not my last time since I fell in love with each bite I took. I want to feature what we tasted and what we loved about each plate. Being a first time visitor to Pain du Monde I really didn't know what to order, I wanted it all, so i was glad I had a birthday girl with me to order plates and share tastes. delightful strawberry goodness, chasing sweet treats with a bold tasty blend of cold brew was perfection. Up for breakfast we each tried and loved a signature dish and manager favorite.I am an Eggs Benedict lover and I fell head over heels over the Eggs Benedict at PDM Cafe. 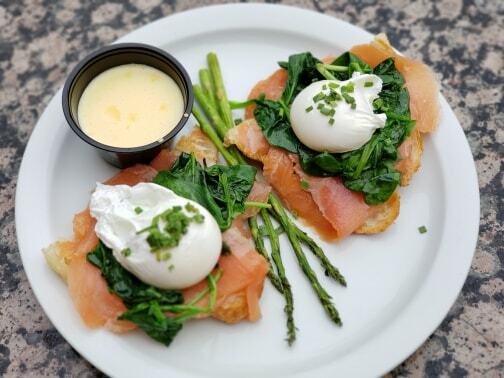 Creamy hollandaise atop the most perfectly poached eggs... a must try with salmon. 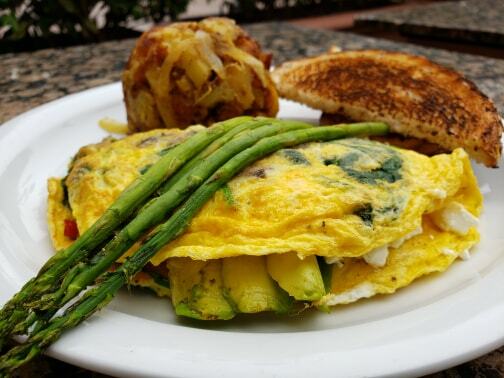 The birthday girl savored the flavors of their famous and ever so popular French Omelet with three eggs, loaded with spinach, goat cheese, mushrooms, avocado and sun-dried tomato, topped with a asparagus and a side of toast. 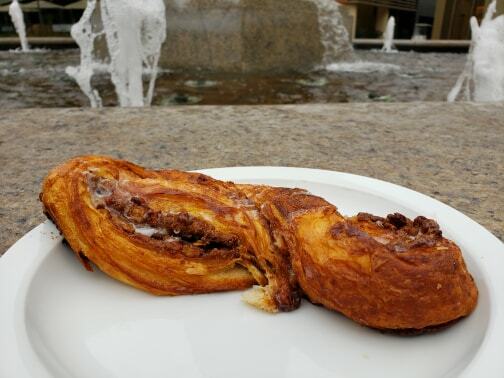 There are four locations to make it into and grab a bite of fresh baked goodies and filling meals all day long. 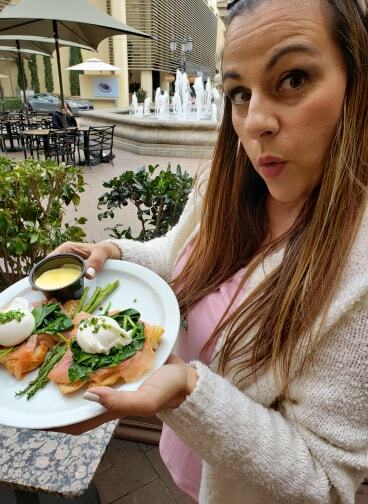 The Fashion Island location serves breakfast all day, with some added entrees including grilled salmon, fresh fish tacos, and a natural Angus cheeseburger. Yum. Jen my sweet influencer over at Balancing the Chaos and I had the best time watching the Baker get his bake on! 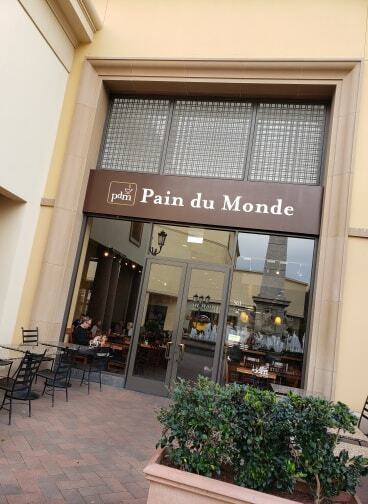 Want to know more about Pain du Monde? 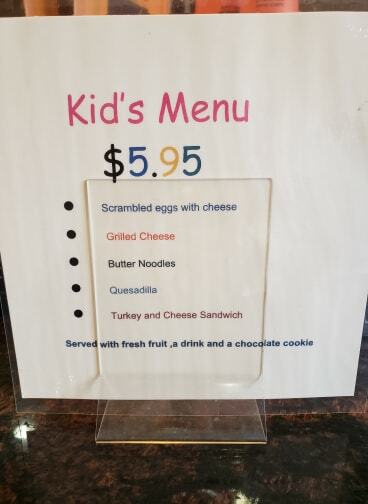 You can check out their website at... https://www.pdmcafe.com . You can dine in or order to go or delivery too. I have a personal statement from my sister in law who works at a store on site at Fashion Island and says she loves their food but their coffee is the best brew and she's the biggest coffee judgment passer I know! I agree their coffee is amazing. Visit and let me know what you think too!